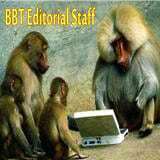 Krsnacandra Dasa – Vrndavan: As we know the BBT has expanded to incorporate the BBTi (BBT International). The BBTi is now in control of the Copyrights of Srila Prabhupada’s Books and it controls the MONEY. That means it is now in total control of Srila Prabhupada’s BBT. Institutional ISKCON has now been fully converted into FISKCON or Fraudulent ISKCON and no longer represents Srila Prabhupada and the devotional community. Fraudulent means: Something intended to deceive; deliberate trickery intended to gain an advantage. This is clearly demonstrated when we witnessed the “Prabhupada Centennial” campaign. The very thought that Srila Prabhupada needed to have our attention shows that we had lost touch with Srila Prabhupada. The campaign reflected not so much how we, his followers, had drifted away from Srila Prabhupada’s Vision, but just how much focus the Rubber Stamped Guru/Acharyas had taken away from Srila Prabhupada by illegally appointing themselves as Guru/Acharyas. They have intentionally ignored the title His Divine Grace AC Bhaktivedanta Swami Srila Prabhupada the Founder – (dash) Acharya of the International Society for Krsna Consciousness. He is the Founder and the Acharya of ISKCON. These are two distinct and separate terms. Founder means he established ISKCON and Archarya means that during his life time or after his death he is the Achraya of ISKCON. No one and that means no one shall occupy the position of Acharya either during Srila Prabhupada’s lifetime or after his death! Yet these Rubber Stamped Gurus fraudulently promote themselves as Acharyas who were next in succession to Srila Prabhupada (even though both Srila Prabhupada and his guru, the previous Acharya; Bhakisiddhanta Saraswati Maharaja did not appoint successors) and by doing so have driven a wedge between the devotional community members and Srila Prabhupada. Apart from being in possession of the Institutional infrastructure of ISKCON, which they have corporatized and therefore corrupted, their only claim to having any philosophical standing is through the philosophy that is contained within Srila Prabhupada’s books, lectures, conversations and letters. The most destructive activity that they could perform is to corrupt the ‘As it is’ aspect of the works of the Acharya’s and so they have embarked upon a process of systematic and thorough defiling of all of Srila Prabhupada’s work. The ultimate intention is to re write all the works of Srila Prabhupada and the past Acharyas with their Humanistic Dialectical Theological interpretations. In order to do so they have to bridge the gap between the works of the Acharyas and their Secular Humanistic Dialectical Theological Academicians and so they began by ‘editing’ Srila Prabhupada’s books with the excuse that they know how to write so that Srila Prabhupada’s work may be more palatable and therefore acceptable to the Academic world. 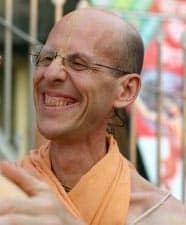 BBTedit.com “Closer to Srila Prabhupada” is a fictitious and misleading statement designed to give the impression that they are trying to get closer to Srila Prabhupada by editing his ‘as it is’ work. They do, however, rely on us to endorse their activities. So each time you distribute one of their books you betray not only us but also Srila Prabhupada. This is an indisputable fact and one that you must take into serious consideration if you are serious about your Krsna Consciousness. The situation is now well beyond complacency and we simply have to stop supporting them in anyway and the best way is to only distribute Srila Prabhupada’s unchanged books. The BBT no longer has Srila Prabhupada in the centre. They are unscrupulously and defiantly defiling the work of the Pure Devotee, like the poisonous flickering tongue of the serpent, darting into sweet nectarian milk from the selfless love of mother cow. This is a process of supply and demand. If you distribute their adulterated books, they will use the money you earned to print more of their tainted books. If you demand to distribute only Srila Prabhupada’s original books you will force them to print more of them and less of theirs. They will have to comply in the end. Due to their foul intentions they will not stop printing their adulterated versions unless they are removed from their positions. Their intention is not to promote Vaisnavaism but to homogenize it with their interfaith ideology based on Religious Syncretism. Religious Syncretism will be explained in detail in the Geopolitics series herein. The ‘intent’ of these people in FISKCON is not sincere. They know full well what they are doing. So fight back by defeating them and pleasing Srila Prabhupada. If you don’t distribute Srila Prabhupada’s Books anymore then please start it again. 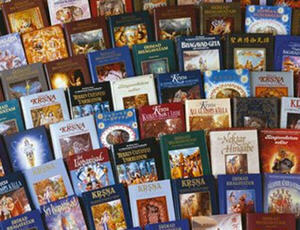 If you have never distributed Srila Prabhupada’s Books then please start. 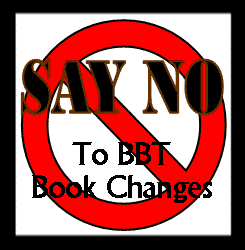 If you already do then please refuse to distribute the changed books and demand the unchanged books of the BBT. The BBT is Srila Prabhupada’s like ISKCON is Srila Prabhupada’s and so we must force these imposters to give back what they have stolen from us and Srila Prabhupada. We will win out in the end; it is only ‘when’ that matters. If you desire this to be sooner than later then you have to take a stand in this and stand up to the imposter devotees who have stolen the infrastructure of ISKCON and turned it into FISKCON. Of course they can never steal Srila Prabhupada’s ISKCON. It is ‘with’ us. We are ISKCON. You are ISKCON. What they ‘think’ that they have in their possession is really only the infrastructure. 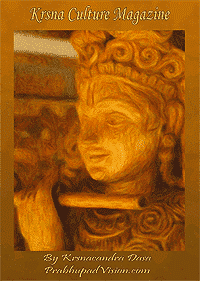 The heart and intelligence of ISKCON, they have no access to, nor can they destroy. It is eternal. It is a matter of vision (perspective) once you can see that their vision is not that of Srila Prabhupada’s and refocus or adjust your vision away from their impersonal vision and to Srila Prabhupada’s Vision you will find that they will very quickly begin to lose power. 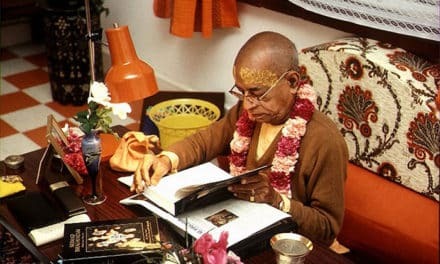 The more, Temple devotees and individual devotional community members, that begin to distribute Srila Prabhupada’s unchanged Books, the more new devotees will begin to see that what the BBT and FISKCON is doing is wrong. Now they see only compliance in our Temples which is especially so when Book Distributors are selling their (FISKCON’s) tainted versions of Srila Prabhupada’s Books. The power is in Srila Prabhupada’s Books and they will stand up for themselves if you distribute them. The BBT will be forced to change and you will please Srila Prabhupada. So please make a stand on this very important and pivotal matter.